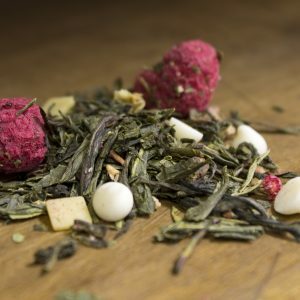 This unique blend is easy to fall in love with. 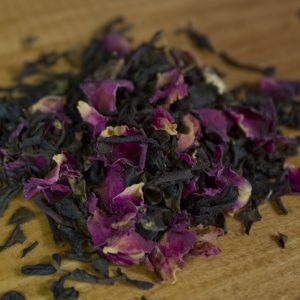 First, the aroma lures you in with hints of a subtle sweetness and delicate fruit. Then, as you take your first sip, the essence of the flavor comes through and you are left happily in bliss. 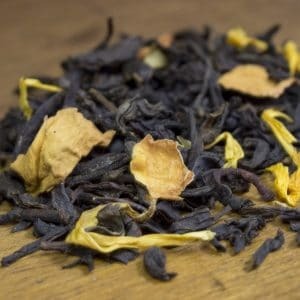 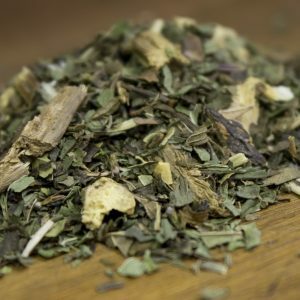 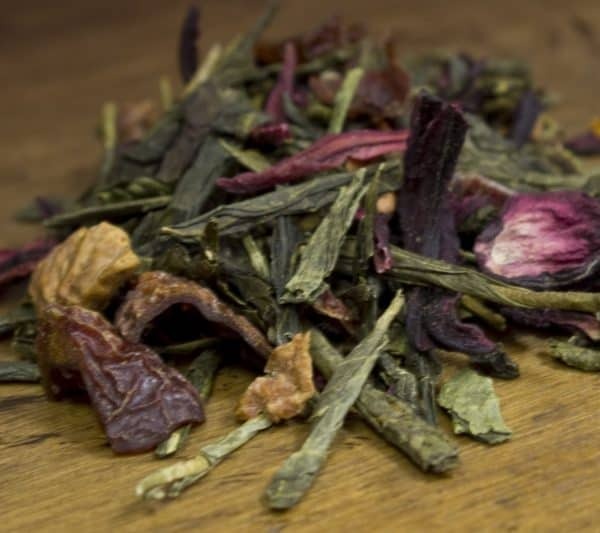 Creamy and lightly tart, this tea consists of green tea, apple bits, cranberries, hibiscus and a few rosehips all coming together to create something truly unique.